Afghanistan has faced decades of armed conflict and political instability, forcing millions of people to flee to neighboring countries, mainly Pakistan and Iran. 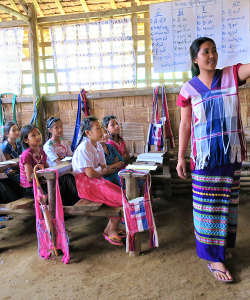 Despite ongoing violence, nearly six million refugees have returned to the country over the past 10 years. Many returnees have moved to the crowded city of Kabul, residing in tents and public buildings, where they live in extreme poverty with little access to governmental aid and education. 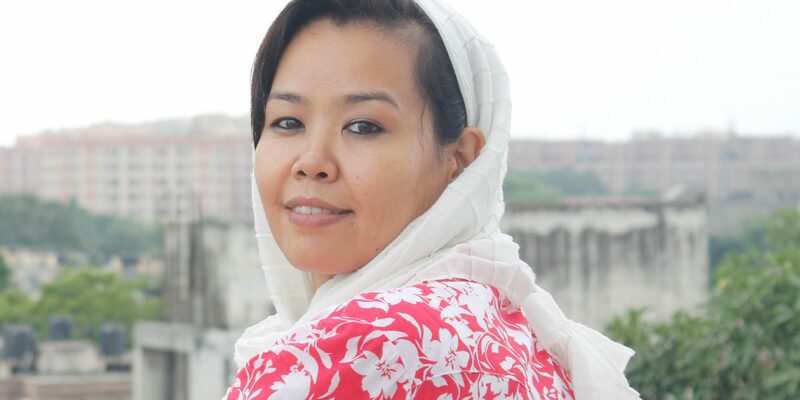 Despite the lack of infrastructure in Afghanistan, JRS sees an opportunity to provide quality education, vocational training, and emergency relief. JRS serves returnees, internally displaced persons (IDPs), and minority ethnic groups living in Kabul, Herat, Bamiyan, and Daikundi provinces. Among other programs, JRS Afghanistan provides IDPs and returnees affected by war with English language and computer courses, teacher training, and tertiary level education (certificate and diploma courses both online and offsite). 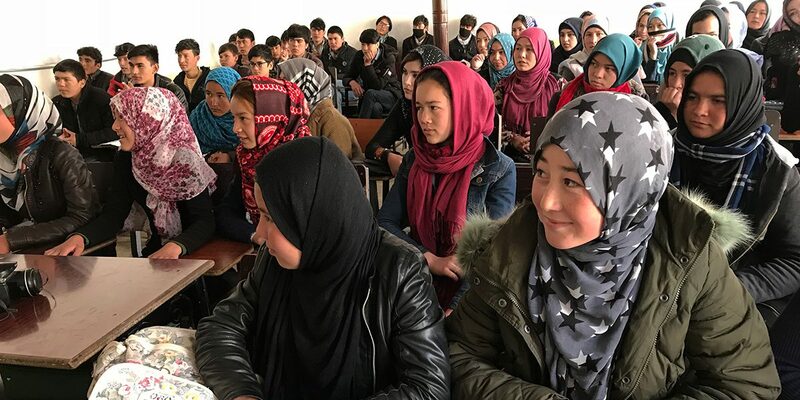 Students attending a JRS English class in Bamyan. 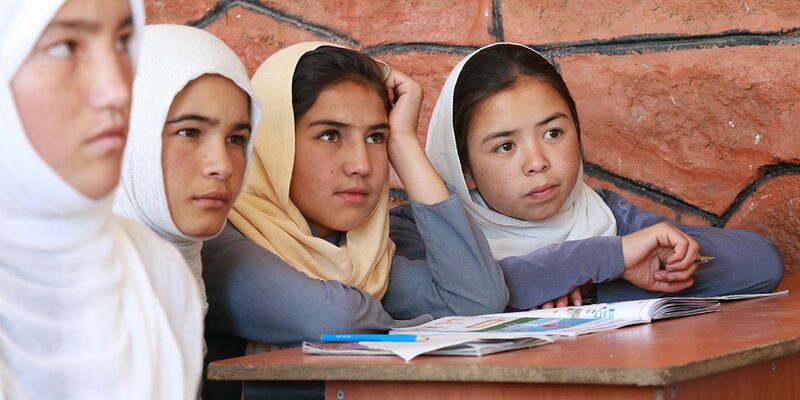 Girls students in a JRS school in Afghanistan attending a primary school class. 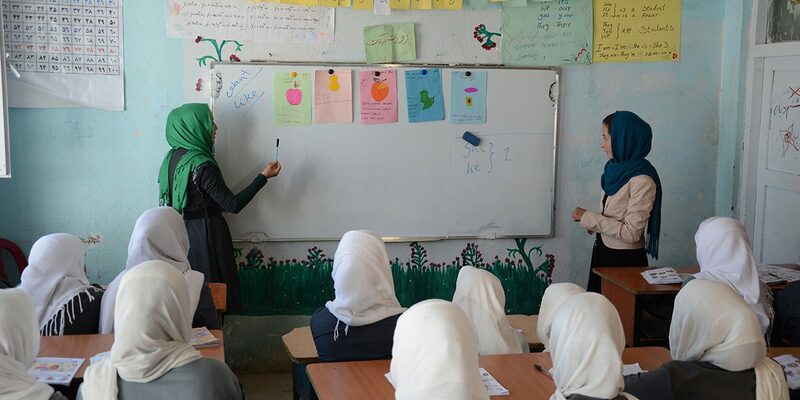 Girl students attend a class in Bamyan. 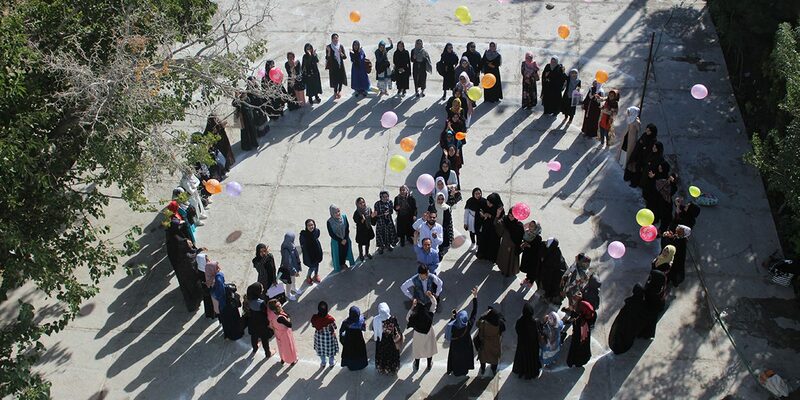 Students of the Herat Technical Institute celebrate Peace Day.